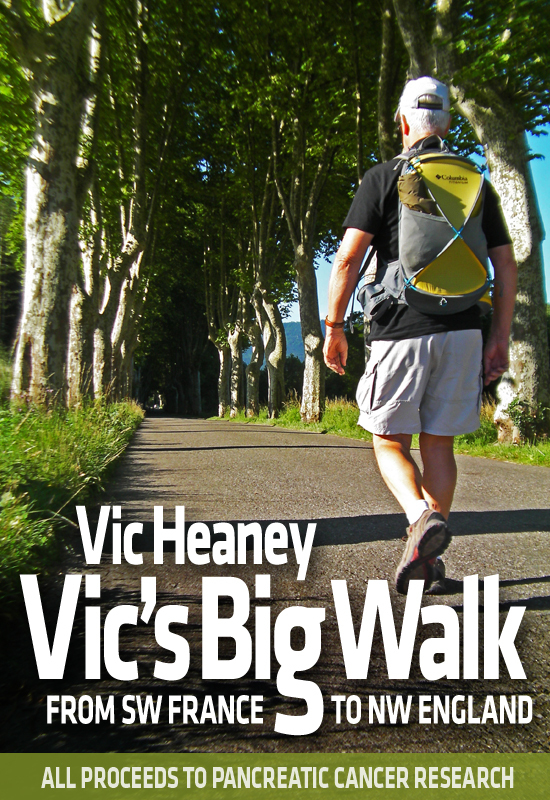 Vic Heaney walks, writes and raises money for pancreatic cancer research and today he is guest blogging for me. Many thanks Vic. 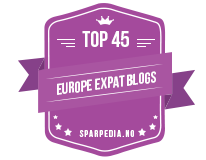 Thanks, Jacqui, for lending me space on your blog. 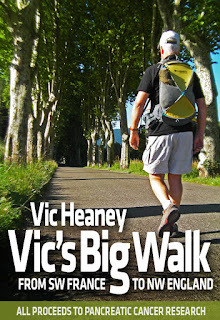 Vic's Big Walk from SW France to NW England took 70 days, at the age of 70. But there was also a training period of two years, during which I walked a further 12,000 kms. Here are some of my thoughts from one of those walks. While walking this morning I was hit once again by the strong aroma of silage. Something you wouldn’t notice while in a car. Or is it called haylage? What you get with those huge rolled up whirls of hay which are then enclosed in plastic. The haylage sits in the sun stewing away inside the plastic. Even though it is completely wrapped you get this very strong very sweet smell of the fermentation that’s going on inside there. Animals, with their sense of smell, must whiff it from much further away. So when the farmers unwrap it for use in winter or in times of drought the critters must go absolutely berserk at this stuff. They probably salivate all summer at the prospect. And fermentation produces alcohol, does it not? Is it a myth about mad cow disease, then? After all, another name for it is the staggers. Maybe they are just drunk, or, as a good friend of mine would say, "gassed as a carrot". I once read that something like 60% of the road accidents in Sweden are caused by drunken elk, which have picked up fallen fruit, which has then fermented inside them. Speaking of strength of smell of animals, one of the animals we have in this area, although not in great numbers, is the bear. When I first heard this, brown bear, I thought smallish animal, obviously a wild animal and not to be approached but I didn’t realise at the time that we were talking something which stands 9 feet high at the shoulder, can run as fast as a racehorse, and which can smell you from 10 miles away, presumably only when the wind is in the right direction (for him!). Maybe there is some technical difference between this bear and the grizzly but I don’t think that matters to the consumer or the consumed. They had more or less been hunted to extinction in this area. The last natural denizen was shot – accidentally, of course, a few years ago. The powers that be have reintroduced these bears by importing some from Slovenia. We read a few weeks ago that one of these bears had been seen in Rennes le Chateau which is only 10 miles away or so from us, as the crow flies, well inside the Aude. When they were released they were fitted with radio collars so that their movements could be tracked. This one has been wandering around over a very wide area – it was located in Pamiers – 50 kms in the other direction – only a few days earlier. They think it is, as it would be, looking for a mate. We all need somebody to love. 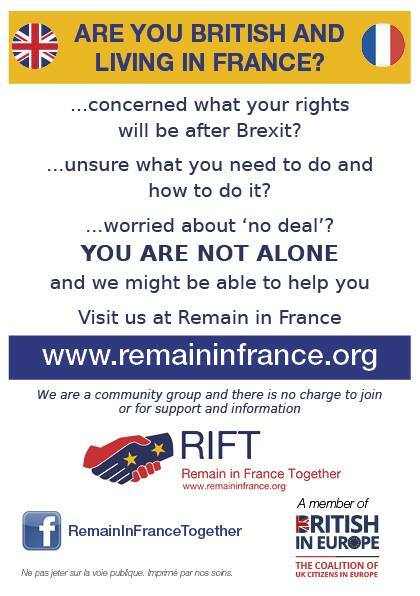 Lovely to see you on here, Vic - I know of you from the Ariege Network forum. And your topic is a hot favourite of mine - just finished writing a book all about the bears in the Ariège...! Hats off to you for the walk and the money you're raising. Funnily enough I thought of you Julia when I read this post!